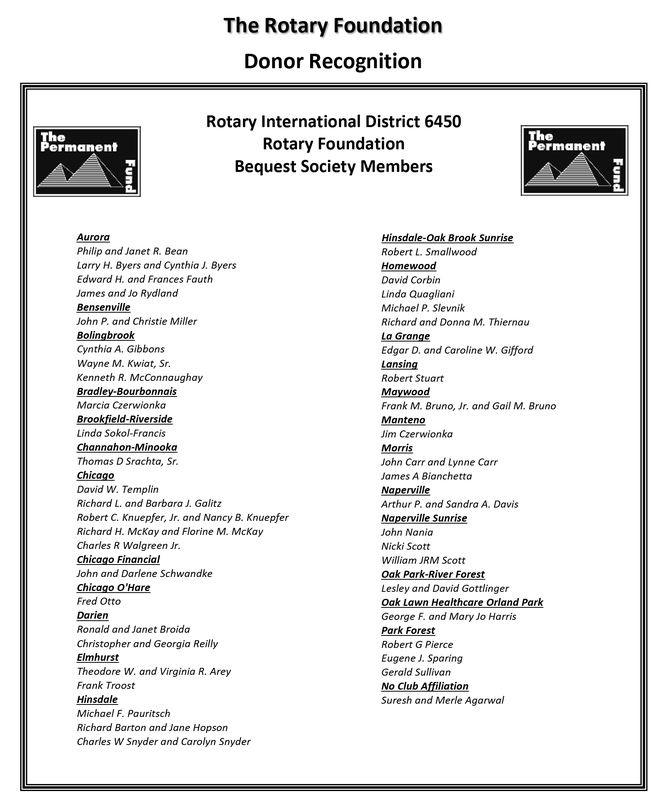 Bequest Society - Rotary International District 6450, Inc.
You may become a Benefactor by making the Permanent Fund a beneficiary in your estate plans or by donating $1,000 or more to the fund outright. Benefactors receive a custom certificate and insignia to wear with a Rotary or Paul Harris Fellow pin. Couples or individuals who have made commitments of $10,000 or more in their estate plans, such as in a will, living trust, or through whole or universal life insurance, can become Bequest Society members. 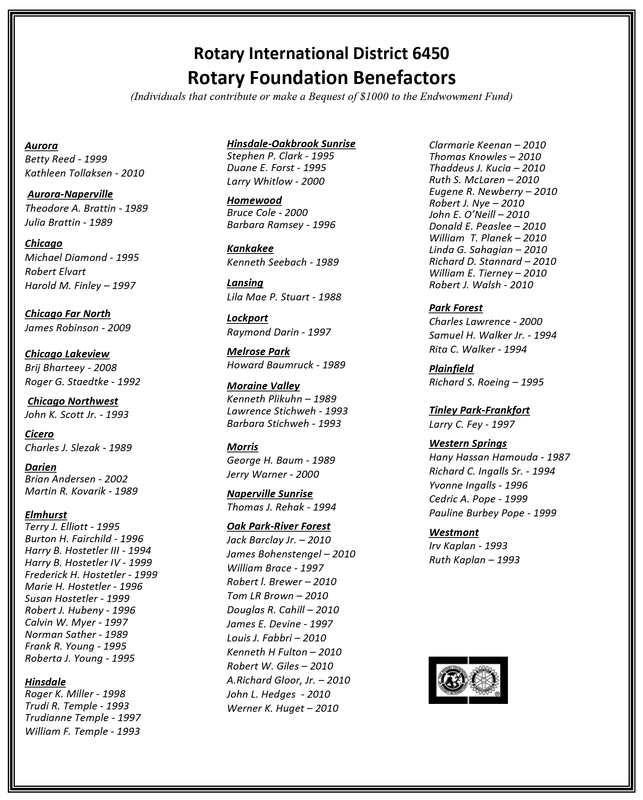 All Bequest Society members receive recognition from the Trustees of The Rotary Foundation. Donors may elect to receive an engraved crystal recognition piece and a Bequest Society pin. Unless you request to not receive recognition you will be recognized automatically upon notification of your bequest commitment.